Calling all pizza lovers, your day is approaching. That’s right, National Pizza Day is almost upon us. 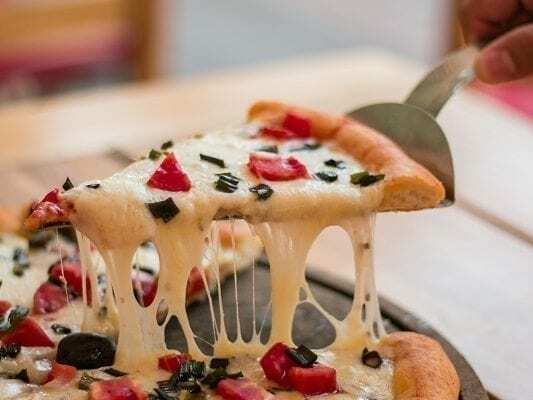 If you’re planning on celebrating this beloved dish, check out these spectacular pizza joints all around San Diego that will be serving up some killer deals on Saturday, February 9. 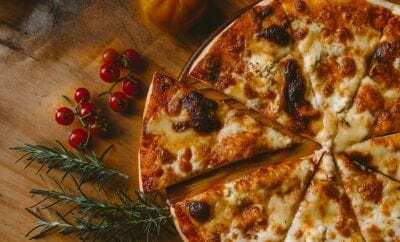 All thin crust lovers must check out Surf Rider Pizza Co. Each pie is made fresh with hand-tossed dough and whole milk mozzarella, and are baked in fire-heated brick ovens. 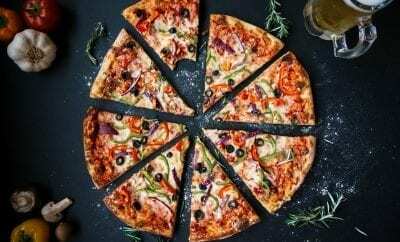 Now with four locations in Ocean Beach, Crown Point, Mission Beach, and La Mesa – it will be easy for San Diegans to find the best slice on National Pizza Day and the best deal! The hot spot is offering $2.50 slices and deals on pies like $15 for a cheese pizza and $20 for the signature Surf Rider Pizza. Surf Rider also offers fresh salads, authentic Stromboli and cheesesteaks and decadent homemade desserts for the non-pizza lovers. This local favorite has a storied history in serving its customers delicious, thin-crust pizza. Famous for their crust, many say it’s not too thin, but the bottom still has that signature crispiness. They make their dough and marinara in-house, fresh every day. 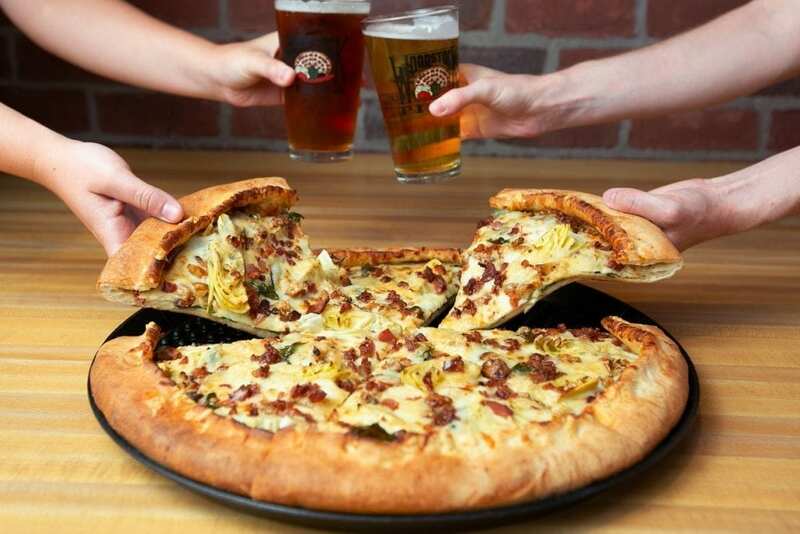 Enjoy their special on $8 large pizzas from 3-5 PM, perfect for an end of the day dinner. With your choice of three different varieties of pies, Hundred Proof is the perfect spot to grab a slice with your friends. Check out their Hen Egg Pizza, topped with Calabrian chiles, burrata, lardons, cherry tomatoes, and basil. Celebrate your love for pizza at Hundred Proof. Grab your friends and family, head on down to University Heights, kick back and enjoy a slice. Their menu offers three varieties of pies including a Wild Mushroom Pizza ($15) made with ricotta, mozzarella, and pecorino cheese as well as a Hen Egg Pizza ($14) which comes topped with Calabrian chiles, burrata, lardons, and basil. Any way you slice it, it’s a match made in heaven. If you’re looking to pair your pizza with a cold beer or a crafty cocktail, you’re in the right place. This top drinking destination offers unique and delicious seasonal cocktails as well as a variety of beer and wine that’ll pair perfectly with any pie. Providing a modern dining experience, Maestoso offers a unique version of pizza, called pinsa. This creation is the result of research on different types of grains and yeast, resulting in a pie that is lower in calories and an overall healthier option. Organic, sustainable, fresh – all accurate descriptions of Blue Ribbon. Here, you can enjoy fresh ingredients, homemade dough, and sauces. So much care and precision is put into each slice, you won’t ever want to go anywhere else for pizza again. Favorites include the Blanca, which includes fresh mozzarella, roasted garlic, cherry tomatoes, olivers, capers, and arugula pesto. A favorite farm-to-fork spot, Farmer’s Table fires up their pizza in authentic wood fired ovens. Enjoy their pizzas or flatbreads, all made with organic, locally sourced ingredients. ICYM… It's National Pizza Week! 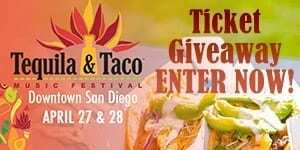 @sandiegofoodfinds features some of our favorite cheesy creations! Pizzas made from scratch with locally sourced ingredients, what’s not to love? Check out The Popper, a flatbread topped with smoked bacon, jalapanos, cream cheese, ranch, crispy onions, and habanero jelly. Become the master of your delectable pizza creation by heading over to The Haven, where you can create your own pizza with all of your favorite toppings. With a long list of fresh toppings, you can expect your pizza to be just the way you like it. There is only one way to celebrate National Pizza Day, and that is by enjoying it from the experts themselves. Head on down to Monello in Little Italy to enjoy a taste of some of the most authentic pizzas around. Offering eleven different varieties, you’re sure to find one that’ll honor this holiday the right way. A few favorites include the classic Monello ($21) topped with spinach, roasted bell peppers, sausage, raspa dura and if you’re feeling brave, try the Piccante ($19), made with mozzarella, arrabbiata sauce, and spicy salame, which is well-deserving of the name “Piccante.” So do your part and enjoy a slice (or five) on this day. But let’s be honest, there’s always a good reason to eat pizza on any day. It’s all in the name at Sammy’s Woodfired Pizza & Grill, a longstanding pizza staple with the motto to eat well and feel good. 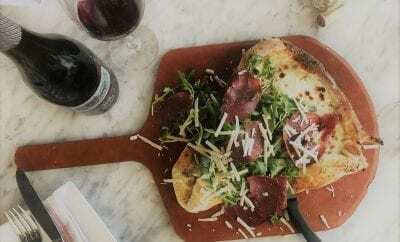 Known for slinging woodfired pizzas, tasty tapas and deliciously messy sundaes in Southern California and Nevada since 1989, this 30-year-old pizza concept touts 12 locations serving up authentic woodfired masterpieces. 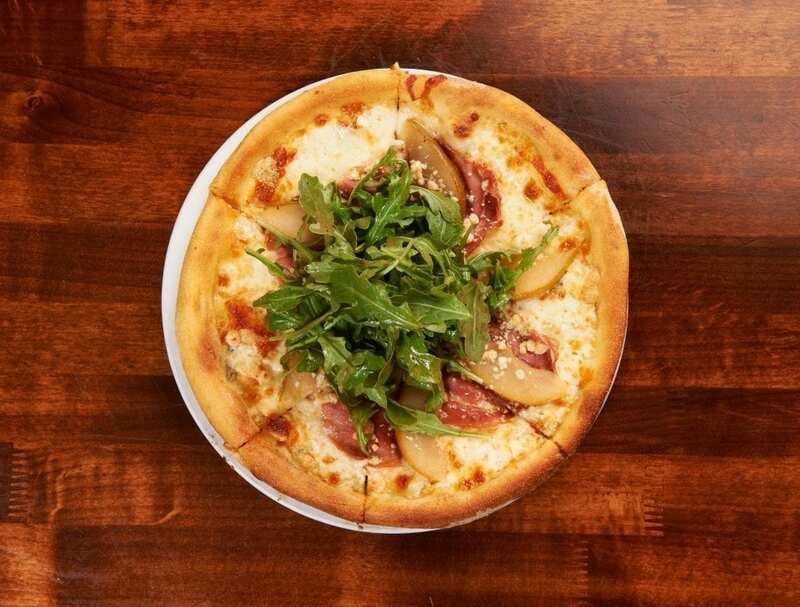 Connoisseurs of the wide world of pizza, Sammy’s invites you to sidle up to one of their many San Diego spots to enjoy crafty creations including the Organic Arugula & Pear pizza, topped with savory prosciutto, gorgonzola and organic arugula salad tossed in balsamic basil dressing. Celebrate February with take-home Heart-Shaped Pizza Kits to sweeten the deal! Any way you slice it, Woodstock’s Pizza reigns supreme in the San Diego pizza scene. 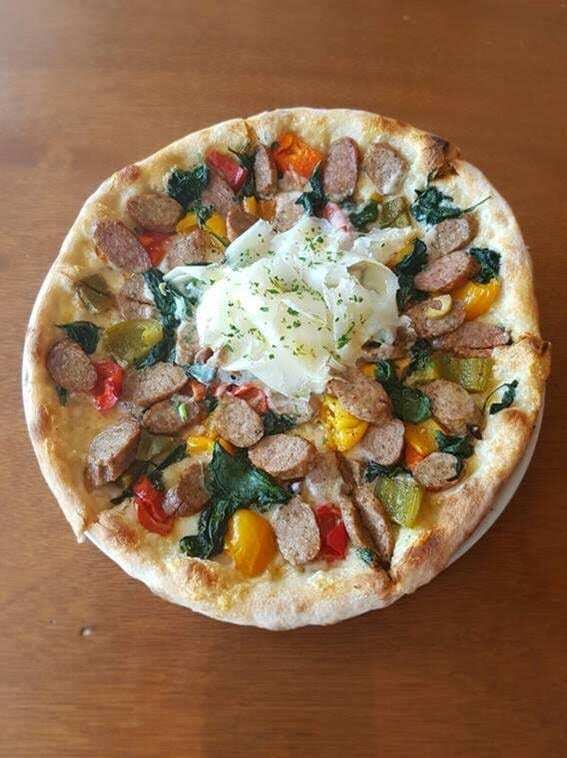 A favorite of college students and locals alike for their famously fresh-made wheat and gluten-free dough options coupled with creative topping combinations, Woodstock’s Pizza is dedicated to dishing up amazing pies with high-quality ingredients and a signature folded over crust every day of the year. This National Pizza Day, Woodstock’s in Pacific Beach and near SDSU will be promising $3 off a large or extra-large pizza from February 7th-10th with online code “PIZZA DAY” in honor of the occasion! Don’t miss your opportunity to chow down on one-of-a-kind combos including the All ‘Choked Up, loaded with creamy garlic sauce, spinach, 100% whole milk mozzarella, roasted garlic, artichoke hearts, shaved parmesan, and double crispy bacon.